Until one day she is welcomed into the warmth by caring cafe owner, Debbie. Like Molly, Debbie is also an outsider and, with a daughter to care for, she is desperate to turn around the struggling cafe. But a local battleaxe is on the warpath and she is determined to keep out newcomers, especially four-legged ones. It looks as if Debbie will have to choose between the cafe and Molly. Yet maybe the solution to their problems may not be as far away as they think. 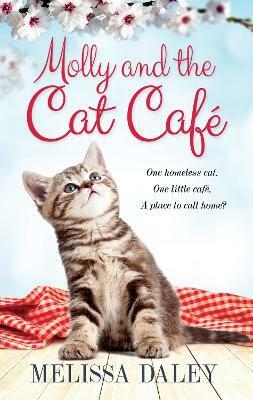 Will Debbie and Molly be able to turn their fortunes around to launch the Cotswolds' first Cat Cafe?